In the United States, 1,200 community colleges enroll over ten million students each year—nearly half of the nation’s undergraduates. Yet fewer than 40 percent of entrants complete an undergraduate degree within six years. This fact has put pressure on community colleges to improve academic outcomes for their students. 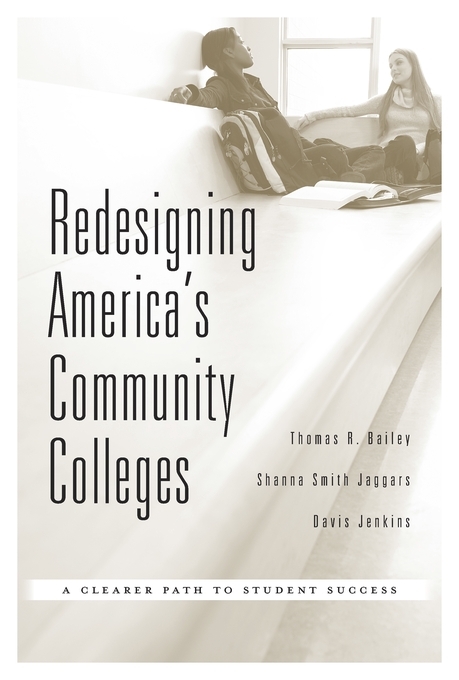 Redesigning America’s Community Colleges is a concise, evidence-based guide for educational leaders whose institutions typically receive short shrift in academic and policy discussions. It makes a compelling case that two-year colleges can substantially increase their rates of student success, if they are willing to rethink the ways in which they organize programs of study, support services, and instruction. 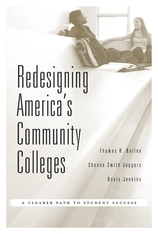 Community colleges were originally designed to expand college enrollments at low cost, not to maximize completion of high-quality programs of study. The result was a cafeteria-style model in which students pick courses from a bewildering array of choices, with little guidance. The authors urge administrators and faculty to reject this traditional model in favor of “guided pathways”—clearer, more educationally coherent programs of study that simplify students’ choices without limiting their options and that enable them to complete credentials and advance to further education and the labor market more quickly and at less cost. Distilling a wealth of data amassed from the Community College Research Center (Teachers College, Columbia University), Redesigning America’s Community Colleges offers a fundamental redesign of the way two-year colleges operate, stressing the integration of services and instruction into more clearly structured programs of study that support every student’s goals.